I have to admit, I didn't like Charade the first time I saw it. Advance expectation is a killer of many a good film, and I originally watched the 1963 movie as part of my crawl through the Audrey Hepburn filmography. 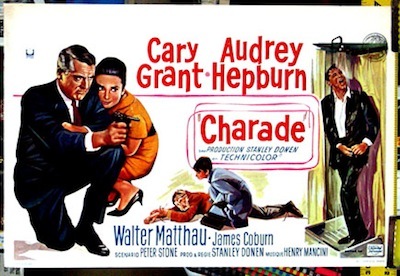 Being the oft-delayed coupling of Ms Hepburn and Mr. Cary Grant, I went in expecting a lighthearted romantic comedy--which is what I got, at least for half of Charade. The other half, as it turned out, was a Hithcockian thriller with a dark, even violent streak. In my mind, the two clashed in ways I couldn't quite reconcile. Who got all this blood in my peanut butter? 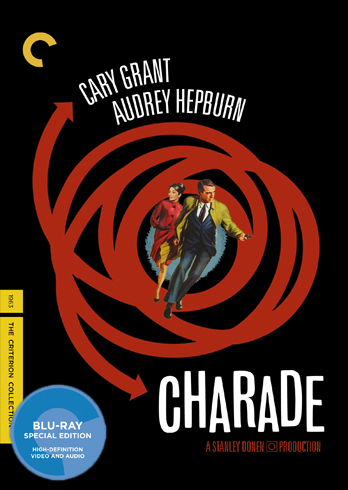 Criterion has brought Charade to the Blu-Ray format with a new high-definition digital transfer, 1080p, at the original 1.85:1 aspect ratio. The restoration is impressive. Colors are excellent, with realistic skin tones and vibrant hues (pay special attention to the reds to see what I mean.) Their is a pleasant, natural grain to the overall image texture. It can sometimes make the picture look a little soft, especially in extreme close-ups, but not so you'd notice once you are caught up in the story. What is the most remarkable is the depth of field. Details are clear in complicated close quarters like the hotel rooms, and there is tremendous clarity when Cary Grant and George Kennedy are fighting on the rooftops. You can see the whole city behind them, and the neon signs glow with real electricity. In the subway, you can see the shine on the wall tiles contrasted with the texture of the cement floor. I have seen three or four different versions of Charade, and I swear, it's never looked like this. Also carried over is the excellent commentary with Stanley Donen and screenwriter Peter Stone. I love listening to Stanley Donen. He's just such a bright guy--in every sense of the word.